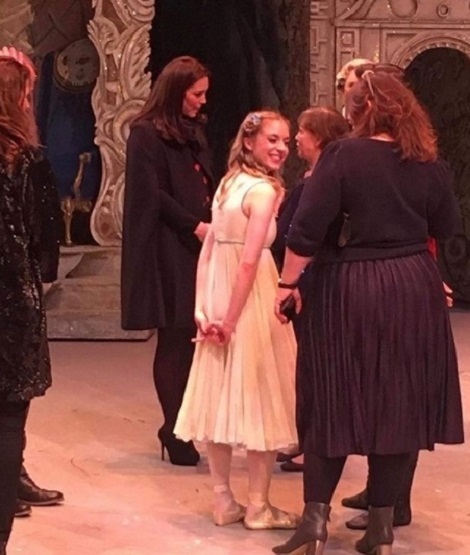 After attending Queen’s pre-Christmas family luncheon at Buckingham Palace, Duchess of Cambridge Catherine enjoyed the Nutcracker at Royal Opera House in London away from limelight. It was a private visit, but Duchess Kate met the performers after the performance. Several social media users updated the event photographs among them were the performers also. For the visit, Duchess did not opt for change of clothes. She was in the same outfit she wore during afternoon family lunch. But at the performance we got a better look of her outfit that contains Long Cloth Cape from Zara that is retailing at $149.00. It seems it’s the bit different version of the cape as it is covering her arms also. 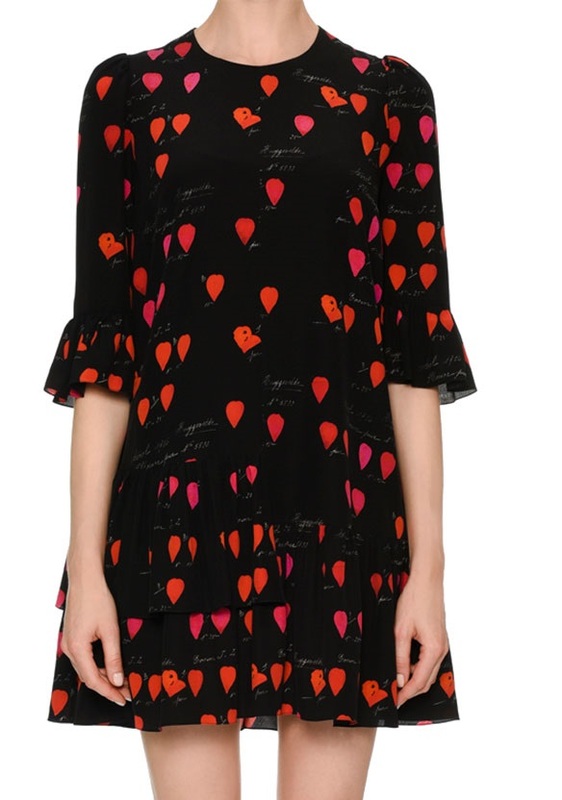 Underneath the cape Kate wore Petal Print Oversized Mini Dress from Alexander McQueen that is still available for $2045. Duchess seems to wearing the same ankle booties she wore in the past notably during her New York visit in 2014.